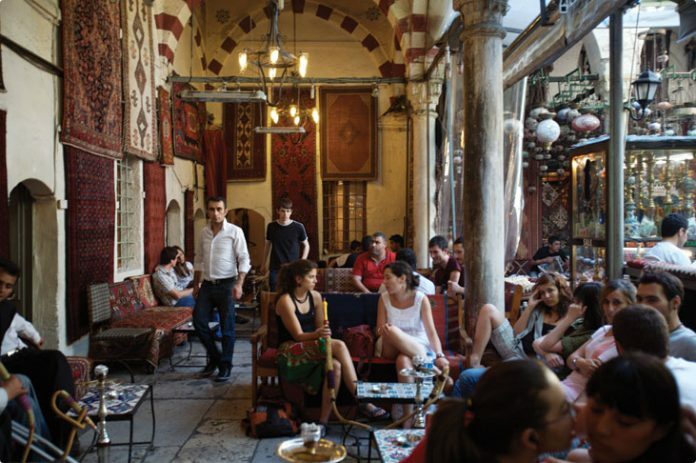 Home DESTINATIONS ISTANBUL The 10 Must-Visit Cafés in Istanbul. Way before gaining popularity among the students of the nearby Istanbul University, the 300 year old Çorlulu Ali Paşa Medresesi was first the lounge of a madrasa, the religious establishment from the Ottoman times. A great example of the traditional Turkish coffee houses, the Medrese is a great place to try hookah with Turkish coffee cooked in sand. 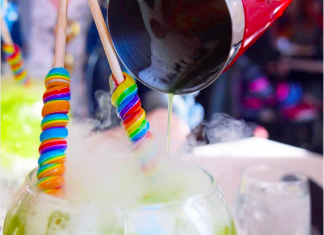 Be warned though, can be a bit smokey on the inside! 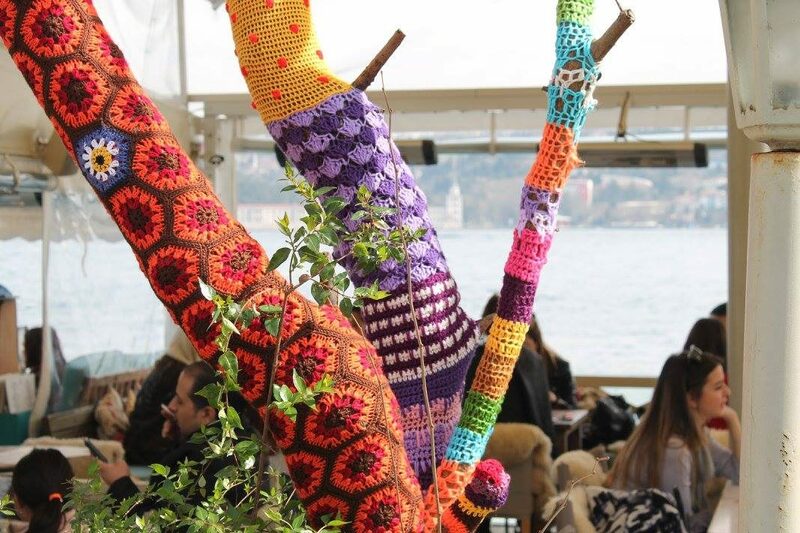 The Turkish people love to have their coffee with great view on the side. 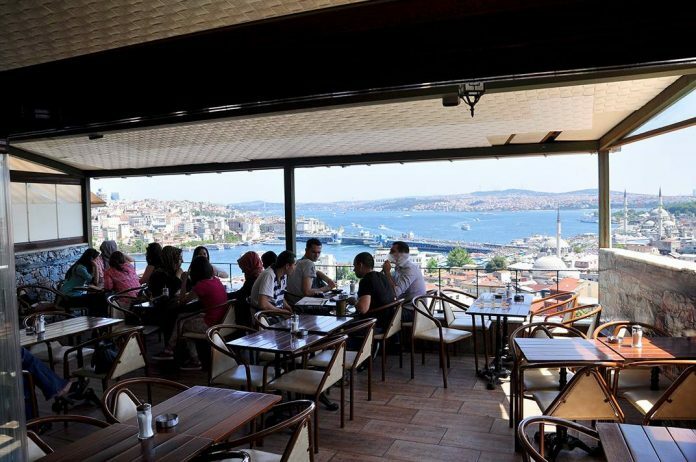 Ağa Kapısı Cafe is situated perfectly atop the Golden Horn – so you might want to grab a friend, order some hookah and watch the sun setting to an amazing view. A little side street on Istiklal avenue. 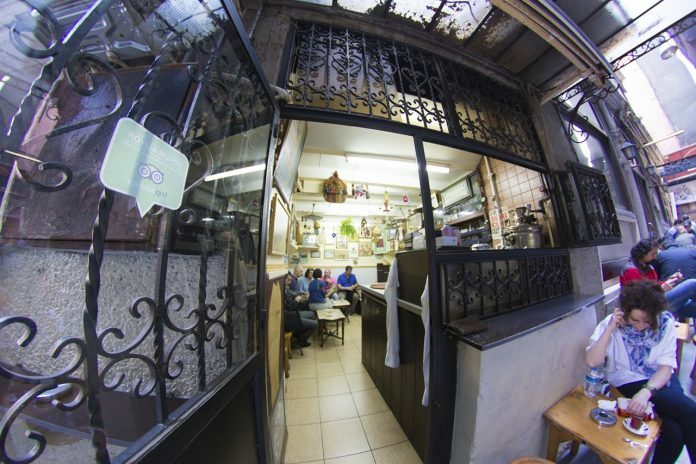 A simple neighborhood cafe that serves Turkish coffee. In business since 1967. Many consider this place to serve the best Turkish coffee in Istanbul. 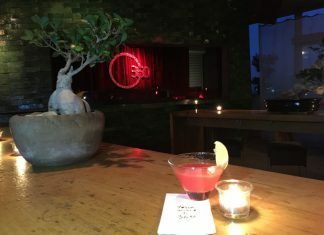 You just have got to try it. 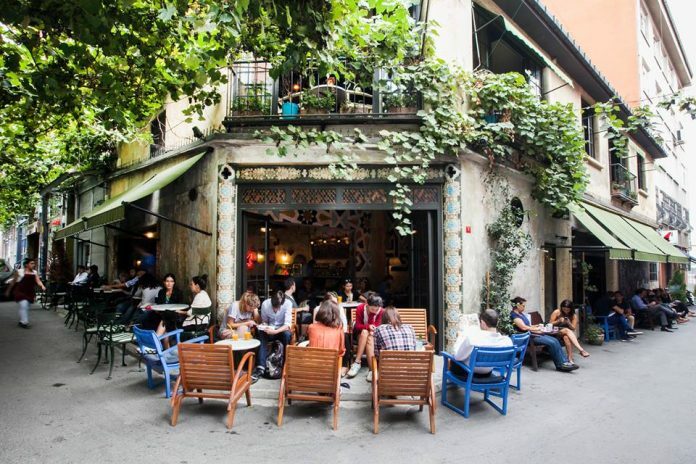 Owned by the world famous Turkish photographer Ara Güler, Kafe Ara is located on a side street of the Istiklal Avenue. 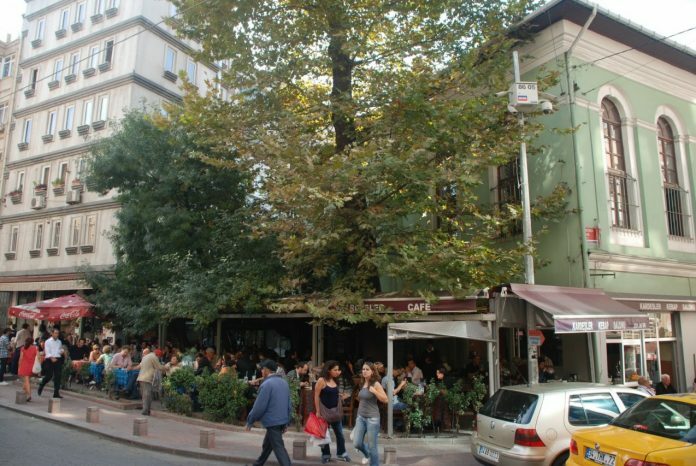 The cafe is loved by Istanbulites and has since become a landmark. At the heart of Cihangir, neighborhood of Istanbul home to artists and all-things-artistic, Firuzağa Kahvesi is the perfect location for celebrity spotting and inhaling some bohemian air-de-Cihangir. “Karabatak” is Turkish for the cormorant bird, symbolic of Istanbul. 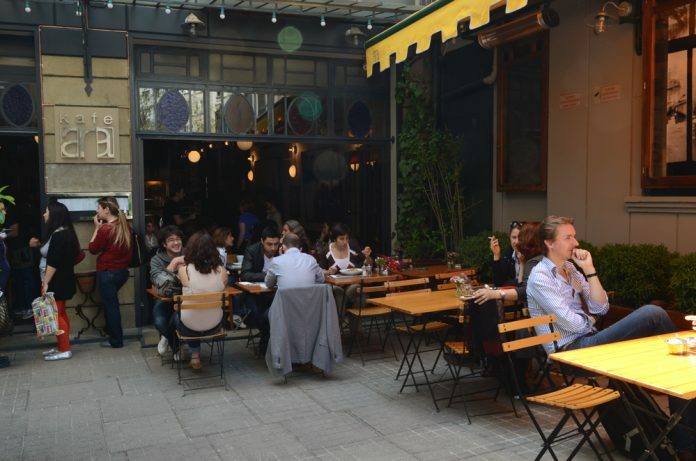 An abandoned metal workshop renovated into a coffee shop, Karabatak may well be the most popular coffeehouse in the up-and-coming Karaköy area. 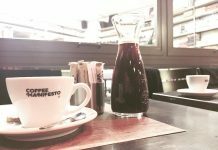 The regulars say you can find some of the best coffee in Istanbul. “Aşk” is Turkish for “love.” So yes, this might be one of the most romantic spots of Istanbul. 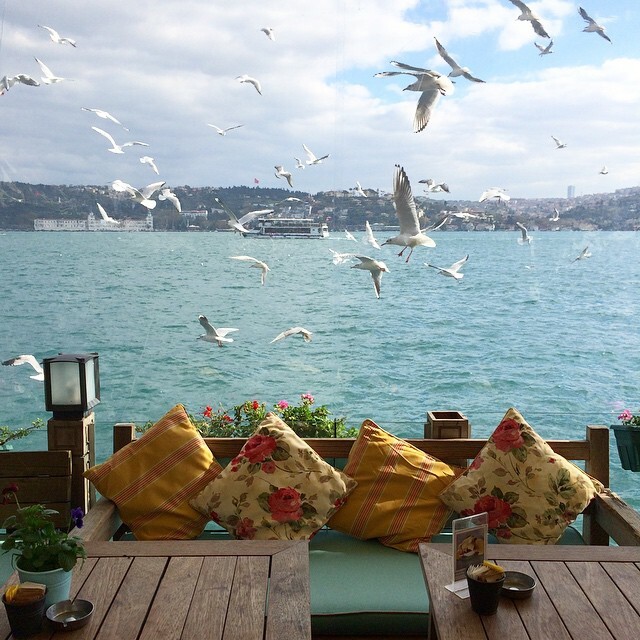 Sunday brunch is a specialty, but coffee’s great too when Bosphorus stretches under your feet as the seagulls shriek. 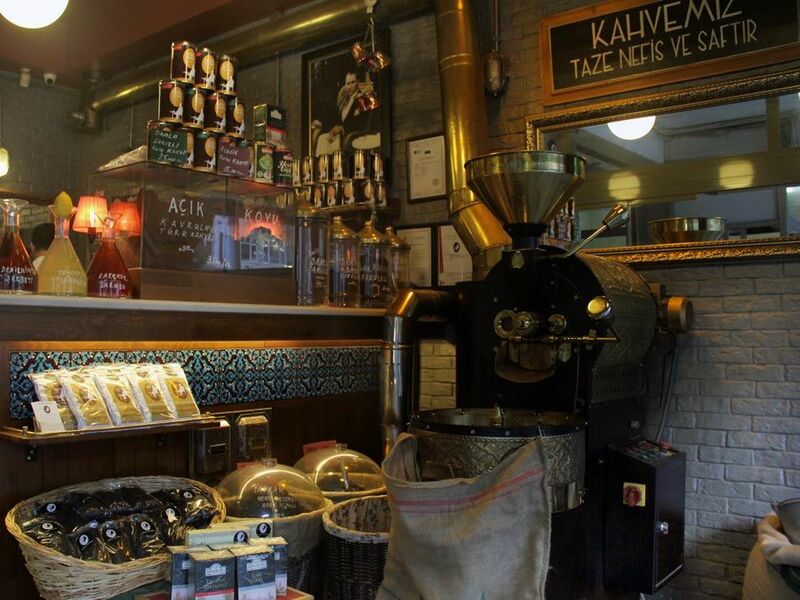 Located in the Kadıköy’s historic bazaar area; Fazıl Bey’s Turkish coffee is one of the best you can try. Fresh coffee roasted, grounded and cooked on the site. 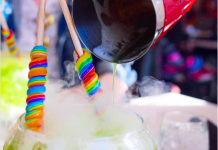 while you’re there, you might want to try some of the more exotic flavors like mastic or chocolate. 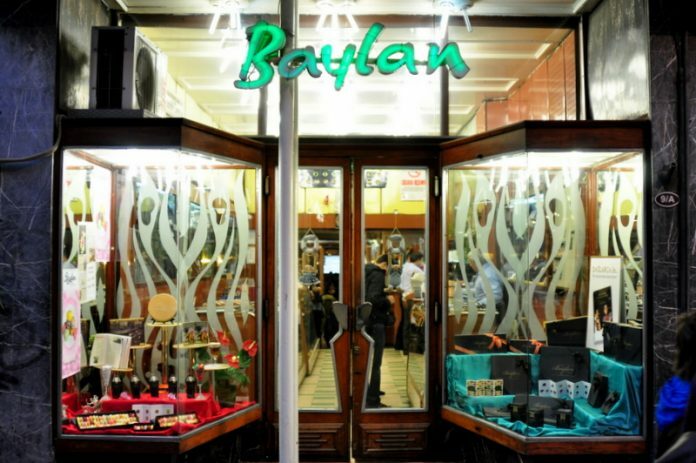 First opened in 1923 in Beyoğlu, Baylan is one of the first coffee shops and patisseries in Istanbul. Though the Kadıköy branch opened in 1961, it is currently the oldest branch in Business. 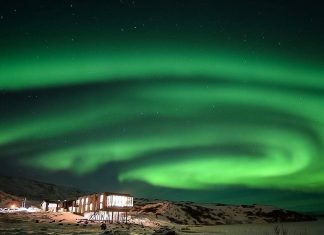 Inside is quite nostalgic, as very little of the decoration was renewed in time. Try “Kup Griye” – it is the signature dessert invented by the founder Harry Lenas, and a major reason to stop at Baylan. 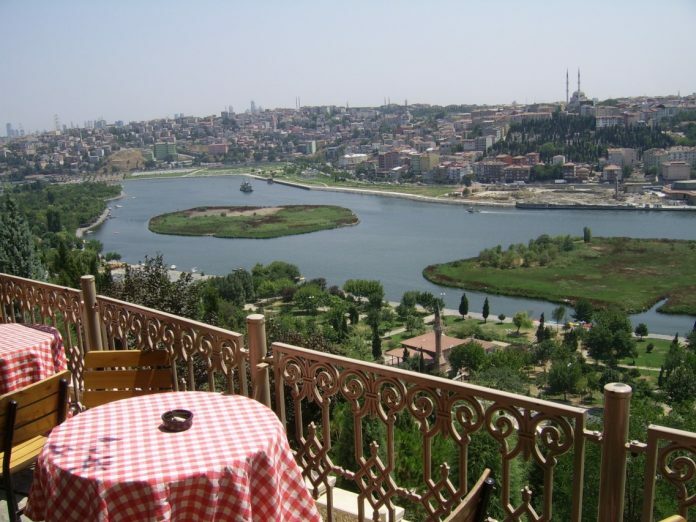 If you’re nearby to visit the Eyüp Sultan Mosque, you might want to take the cable car up the the Pierre Loti Hill. The view of the Golden Horn stretching towards the Galata Bridge and the Galata Tower is breath taking and the coffee’s great too.